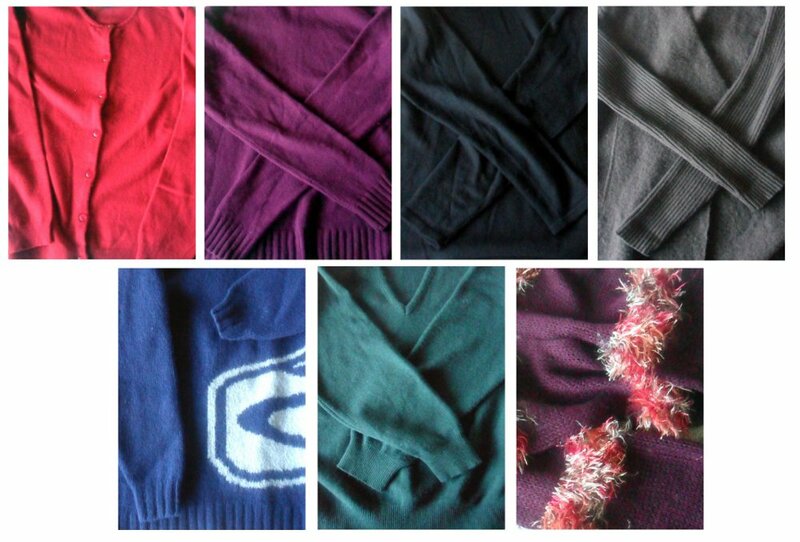 A little while back, I shared with you all my desire to felt my own woollen clothing in this post. 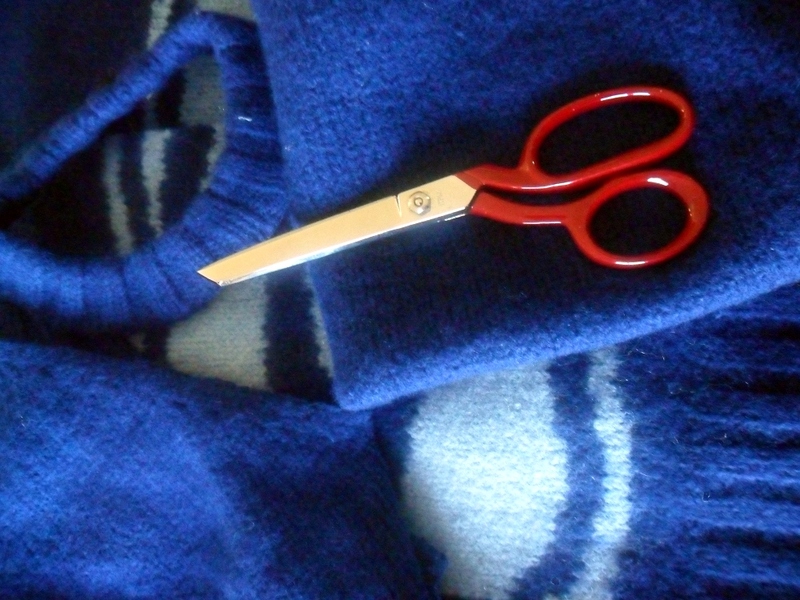 Since then, I have scoured op shops (thrift stores) in my general area and I found these jumpers and a scarf to attempt to felt. I say attempt, as I am not 100% certain some of the items are wool, and some are a blend, and I have a front loading washing machine, which is great for being gentle on our clothing, but maybe not so good for roughing up wool fibres. So what’s next? 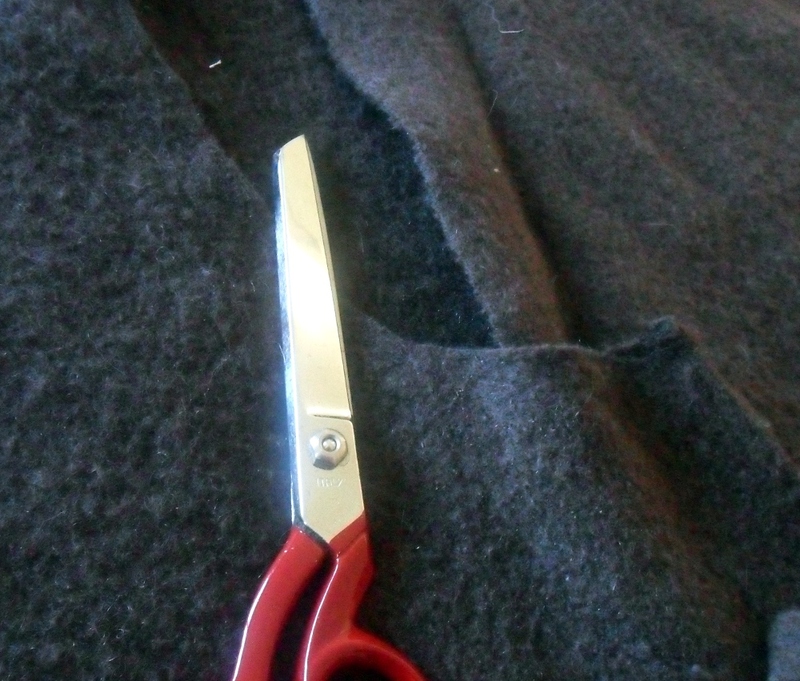 Cutting them up in preparation for felting. 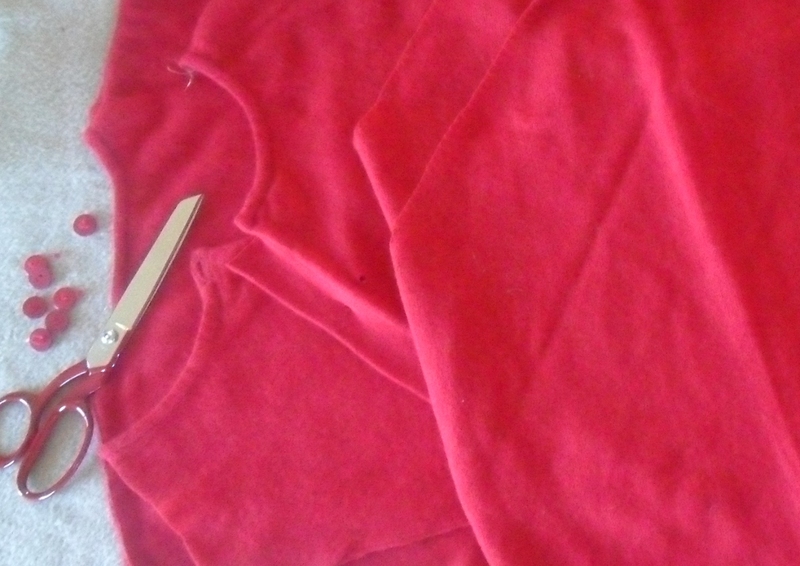 The red cardigan has some lovely little buttons I can salvage and is 96% lambswool and 4% nylon. I really hope this one works as I love the colour. 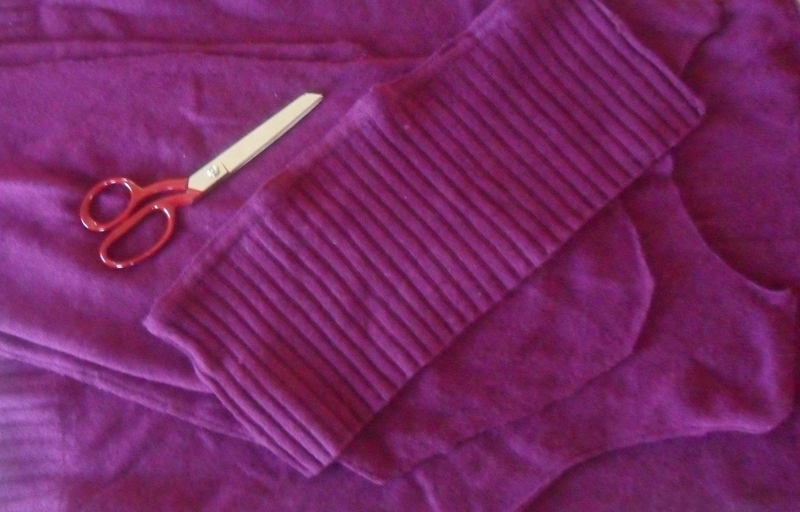 The purple turtle neck jumper is 80% lambswool and 20% nylon. Not sure if that’s too much nylon, but I guess I will find out soon enough! The black turtle neck jumper is very fine and thin, but is 100% wool. The olive green one is going to work just fine. How do I know? It is 100% wool and is already pretty much felted in the body. The blue surfer dude jumper is so thick and heavy. The labels have been cut out, but I am almost certain it is 100% wool as it is felted just from wear or maybe someone has already hot washed it hehe. 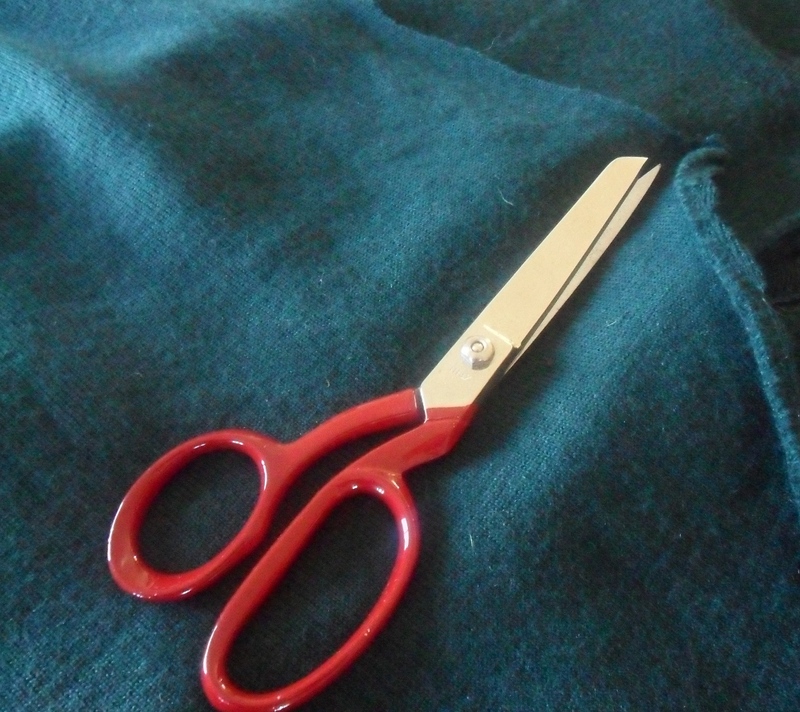 The green jumper is part of someone’s work uniform and is another 80% wool 20% nylon one. The scarf, well its very attractive I know. 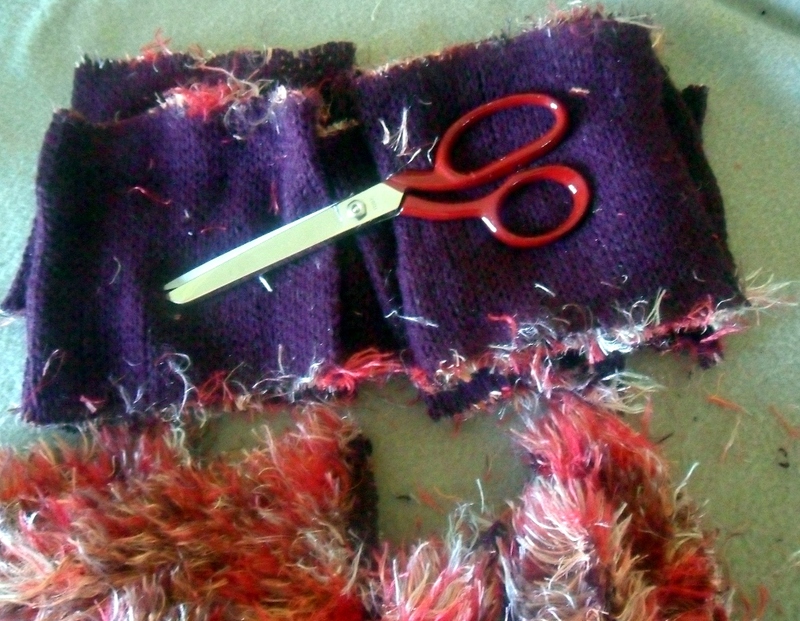 I know the fluffy bits are synthetic, but I am hoping that the maroony-purple is wool. 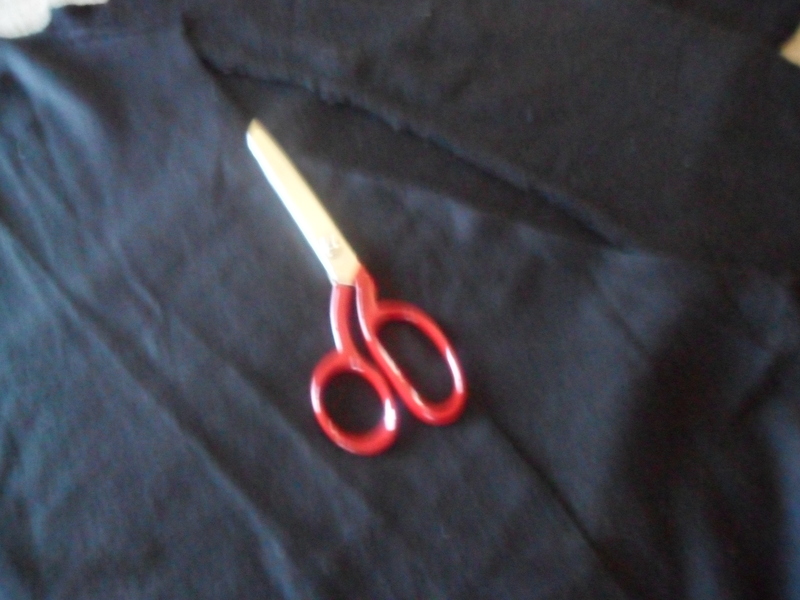 Not very hopeful now that I’ve cut it up. I am fairly certain it is all acrylic & geez it made a mess! I’ll save the next bits until my next post. Stay tuned to see how they work out. 4 Responses to "Where’s me jumper? Part 2- Finding the jumpers"
Shelley I am dying to see how they all turned out.